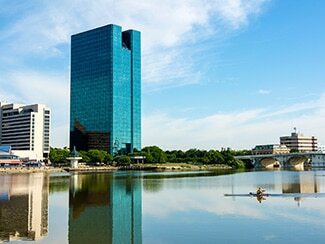 The Grand Rapids labor and employment attorneys at Kalniz, Iorio & Reardon represent labor unions throughout Michigan and Ohio. Our labor clients are employees in all fields including teachers, police officers, fire fighters, electricians, clerical employees, factory workers, truck and bus drivers and others who make up the Michigan working class. We represent public sector labor unions and understand the particular legal challenges that are present under the current bargaining laws. We are familiar with the Public Employment Relations Act (PERA) and provide guidance and advice to our clients to ensure that their bargaining rights are recognized and enforced. The attorneys at Kalniz, Iorio & Reardon also represent private sector labor unions. We have experience litigating cases before the National Labor Relations Board and advising clients as issues arise under the National Labor Relations Act (NLRA) and the Labor Management Reporting and Disclosure Act (LMRDA). Assist labor unions in union organizing and election disputes before the NLRB and the MERC. We respect collective bargaining rights and view these rights as essential to preserve and build a strong and prosperous middle class. If your organization has questions about labor union laws or labor disputes, contact the Grand Rapids attorneys at Kalniz, Iorio & Reardon.